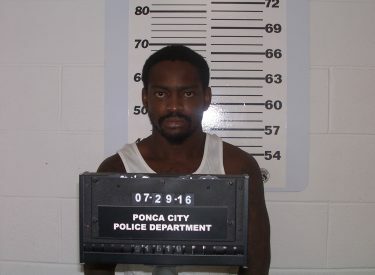 Marcus Lee Miller, 35, was taken into custody Wednesday afternoon at approximately 2:50 p.m. by Ponca City Police. The U.S. Marshals provided assistance prior to and during the arrest. Police received information that Miller had been hiding in a trailer in the Meadowbrook Village Trailer Park. A $2.5 million bond warrant for Miller was issued Monday following the shooting incident which was reported approximately 10:16 p.m. Dec. 8. The 23-year-old male victim was shot multiple times by Miller, witnesses reported to Police, at a home in the area of Scott Avenue and 12th Street. The victim was transported by ambulance to Ponca City Alliance and then flown to OU Medical. The victim remains at OU Medical Center in critical but stable condition. Along with Marcus Lee Miller, at least three others were arrested from the same residence for unrelated felony warrants.